Traditional open-top gutters can fill up with leaves and debris which can keep them from doing the job of protecting your home from water damage. Gutters that do become clogged can cause widespread damage to your home's foundation as well as cause unsightly water staining to your home. And unclogging and cleaning those gutters can be a very hard, dirty, and dangerous job. However, when you have a Southern Window and Siding leaf-free gutter installed, you can have peace of mind knowing that your gutters will remain free and clear year after year protecting your home and saving you time, money and a whole lot of hard work. Southern Window and Siding's Leaf Free Gutter and Hood System wide gutters that work based on liquid adhesion. The water actually adheres to the covered, leaf free hood and drains into into the extra-deep seamless gutter. 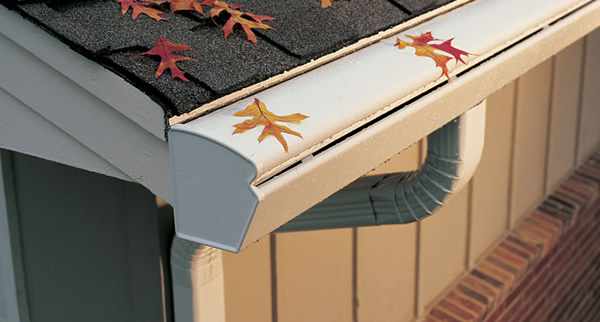 With this amazing gutter system, the leaves stay out allowing the water to drain in and be channeled away from your home so you won't have to worry about your home being damaged. A Southern Window and Siding's Leaf Free Gutter and Hood System will not only protect our home, but also add beauty to it. 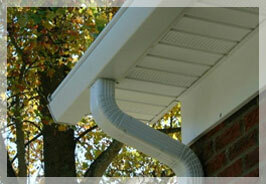 Our smooth and curved K-Guard gutters come in a variety of colors to blend with your home. They can be installed on any type roof including Spanish Tile and slate. So stop fretting over those old, clogged up gutters and let us take a load off of your mind and your home. We proudly serve all of Atlanta and the surrounding areas. So give Southern Window and Siding a call today at 770-955-6400. We will be happy to come out and give you a free estimate as well as answer any questions you may have. We look forward to hearing from you!